BRISTOL, CONN. (March 28, 2019) . . . After a two-year hiatus, Doug Glanville is returning to ESPN as a baseball analyst with recurring appearances on “Baseball Tonight,” “SportsCenter,” and other ESPN morning programming. 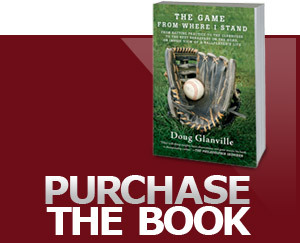 Glanville will continue with his primary role as the baseball insider for the Chicago Cubs on NBC Sports Chicago where he provides color commentary for the Cubs games and analysis on the pre-and post-game show “Baseball Night in Chicago.” Glanville was a 1991 first-round draft pick for the Cubs.